We love both of these guys. Almost too much even. On any given Friday, I'll be blaring some Mac Miller 'Knock Knock' and eating a cherry Pop Tart while my office mate is wearing his red hoodie and bobbing his head to the lyrics of Child Gambino's 'Freaks and Geeks.' 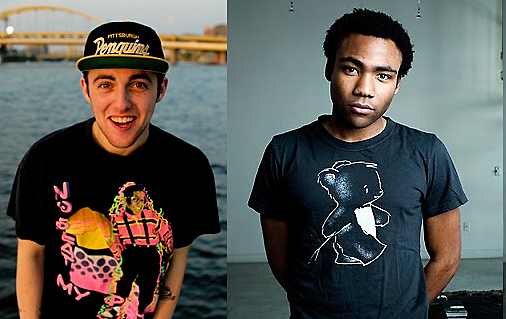 I'm surprised I can still type after all the Pop Tart crumbs in my keyboard but I've gotten out enough characters to ask the difficult question: Mac Miller or Childish Gambino?